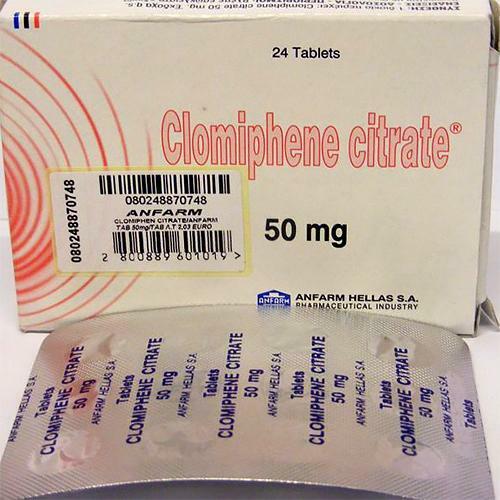 Clomiphene citrate is essentially a drug that acts as a preventative measure against gynocomastia, as well as a drug that acts to raise endogenous (natural) testosterone levels therefor is compared with other antiestrogen - Nolvadex, for those reasons. 150mgs of Clomiphene citrate will still raise testosterone levels to approximately 150% of baseline value. Even doses as low as 50mgs will show clear improvements and elevations in testosterone levels. Clomiphene citrate is very safe for long term treatment of lowered testosterone levels - it's safety and efficacy for up to four months. Post-cycle, when steroid users are suffering form lowered testosterone levels (especially if one used testosterone based compounds), is when Clomiphene citrate is most effective. I ordered two packages for my PCT along with Arimisim and Proviron. I am looking forward to see how will work. I am pretty sure that this product will be as great as all the other products I have used.